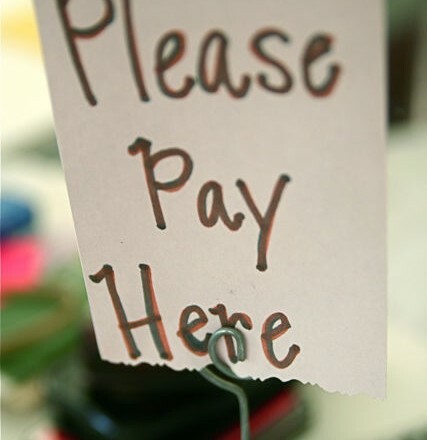 Under the new Single Touch Payroll (STP) allowances paid to your employees need to be classified into specific types on the income statement, similar to how they used to be on the payment summaries. 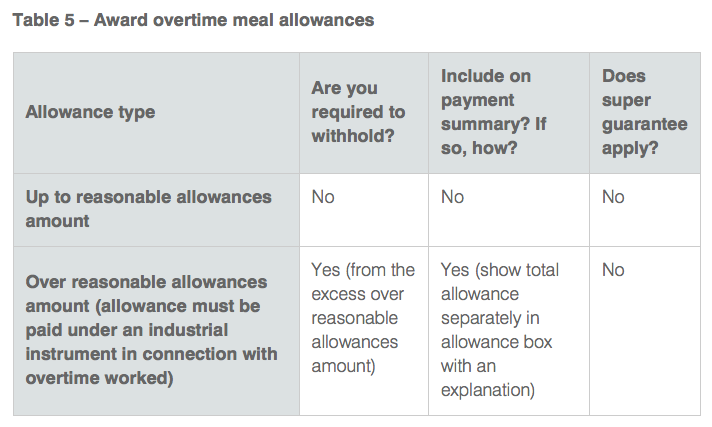 However there's a difference now in STP where seperately itemised allowances are grouped and reported by category. 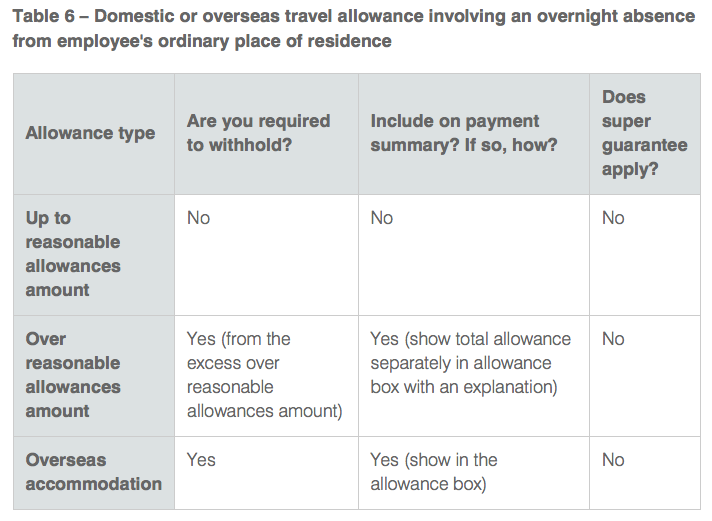 There are many different kinds of allowances paid to employees in Australia, and the way they are grouped for STP is very similar to the ATO's guide on taxing allowances. Any allowance listed in TABLE 1 need to be classified as "Allowance (Other)"
Any allowance listed in TABLE 2 need to be classified as "Allowance (Car)"
Any allowance listed in TABLE 4 need to be classified as "Allowance (Laundry)"
Any allowance listed in TABLE 5 need to be classified as "Allowance (Meals)"
Any allowance listed in TABLE 3 need to be classified as "Allowance (Transport)"
Any allowance listed in TABLE 6 need to be classified as "Allowance (Travel)"
These allowances include domestic and overseas travel allwoance above the reasonable limit, and ALL overseas accomodation allowances. Congratulations! 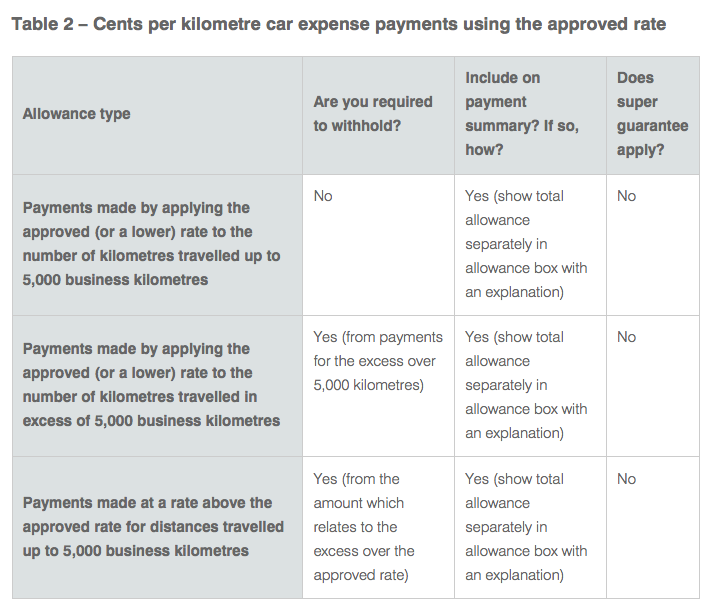 Now you're ready to start filing your payroll information to the ATO via STP. 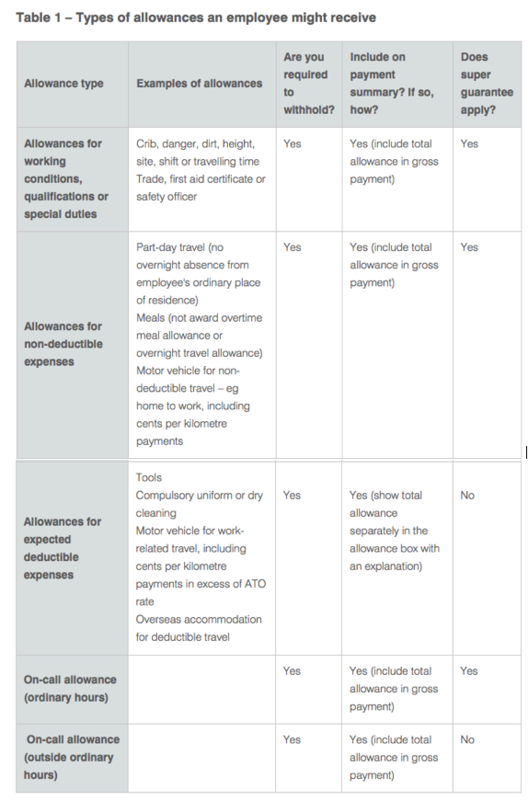 If you're unsure on how your allowances should be classified, ask your bookkeeper or if you don't have one, contact our friendly team for some advice.